As the weather cools and fall sets in, our family is transitioning from summer grilling and fresh farmstand vegetables to heartier fare. Soups and chilis feature prominently on our menu during these cooler months. They’re one pot meals with warm flavors, simple preparation and ample amounts of leftovers. What’s not to love? 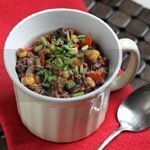 This is a perfect weeknight chili: relatively minimal preparation, simple ingredients and generous portions. It’s packed with vegetables, flavorful Tex-Mex spices and lean protein. I’ve made it on many occasions and the chili comes out well with either 85/15 ground chuck or 93/7 ground turkey. It has a nice spiciness, probably akin to that of a medium salsa, so adjust the spices up or down to fit your personal preference. Add onion, bell pepper and garlic to same stock pot. Cook over medium high heat until softened, about 5-7 minutes. Add jalapeno and garlic and cook for 2 minutes, stirring occasionally. Add cooked ground meat to the vegetable mixture in the stock pot. Add broth, spices, diced tomatoes, black beans and corn. Bring to a boil. Reduce heat and simmer for at least 15 minutes or until slightly thickened, stirring occasionally. Ladle into soup bowls and serve with your favorite toppings. * Alternatively, the beef/turkey can be cooked at the same time as the onion and bell pepper and then drained. I find it easier to drain the meat separately. 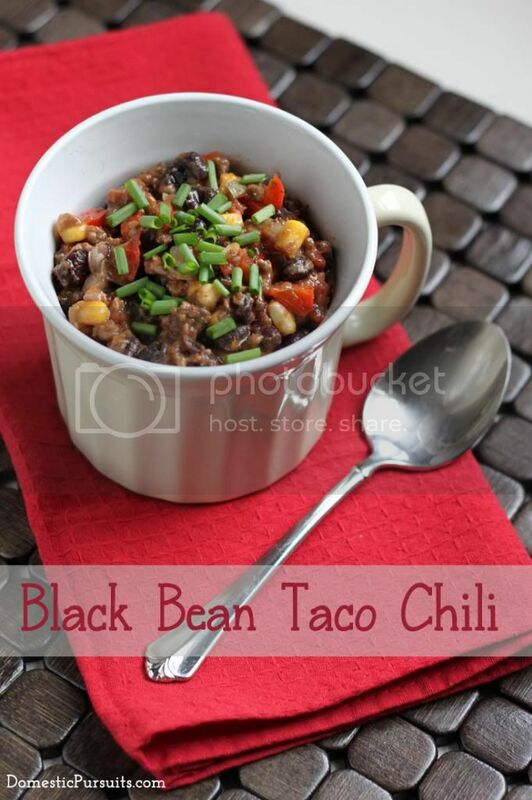 I have made many Chili dishes, but I must say this is one of the best Chili’s I have ever had…just the right combination of spices, beans and veges; I never used the fresh jalepenos or cumin before in my Chili recipes. Really was a big hit with the whole family! Thank you Beth!